Are you ready for Amazon’s arrival? Amazon.com has told its Australian sellers to be ready to take orders. Amazon has already set up a distribution warehouse in Melbourne, where four-fifths of the population live, and logistics analysts say this will help cut sometimes open-ended delivery times to one or two days. Australia has long been home to Amazon-registered sellers, but until now they had been limited to sending goods offshore since the $550-billion company didn’t have a warehouse in the country of 24 million people. Technology website Lifehacker Australia has published what it said was a screenshot of an email from Amazon to some Australian retailers registered to sell goods over its website, saying it would “start an internal testing phase with a small number of customers on Thursday 23 November”. “You should be prepared to receive orders from this point onward,” added the email, which some retailers received from Amazon. Retailers not yet ready to trade can opt out of the testing phase by setting their seller account to inactive in the Seller Central online portal. It is thought Amazon will be up and running for this week’s ‘Cyber Monday’ shopping events. The news comes just over a week after Amazon Australia Country Manager Rocco Braeuninger told an audience in Sydney that the company was “really, really, really close” to launching. Braeuninger also told attendees at the Marketplace Seller Summit that Amazon will launch its own retail offering and third-party marketplace at the same time. 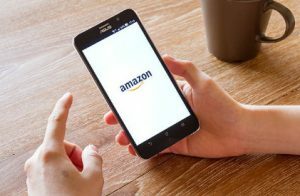 In the lead-up to Amazon Australia’s launch, many consumers took to social media to welcome the online heavyweight’s entry into the market, and to slam large Australian retail chains for taking their customers for granted through high prices, poor customer service, limited range and a lack of online offerings.